This post is to be the first installment of a 3 or 4 part series. This year marks our third season raising our own chicken and the first raising a few extra to sell, so i figured it would be a great opportunity to document the project. The first year I decided to stick with the industry standard: Cornish Cross. This fast growing hybrid is ready to slaughter as early as 7 weeks old. Sounds easy! But they also over eat if you don’t monitor their feed just right…… which i didn’t quite ‘get’… needless to say we lost quite a few to heart failure and other obescity related ailments. The texture of the meat was ‘meh’ and the flavor was ‘nonexistent.’ They made great chicken strips. 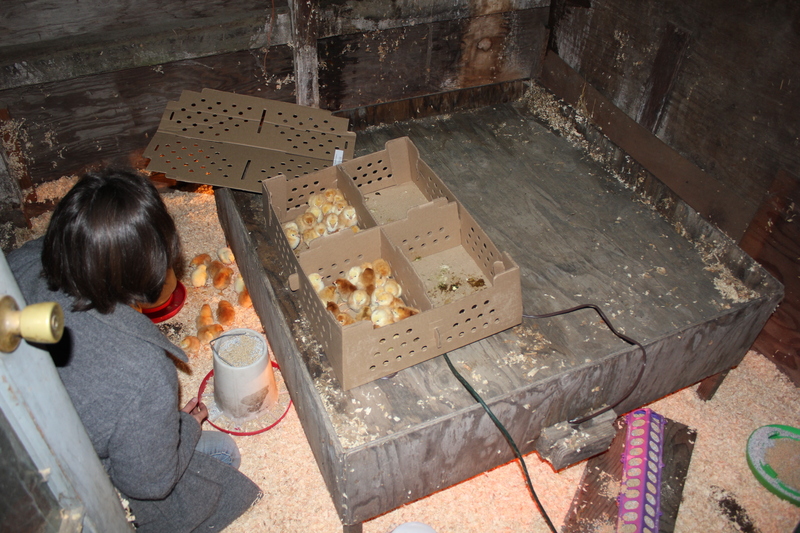 We brood our chicks under a wood hover in a room in our barn. The hover has a heat lamp at each end that plug in separately. 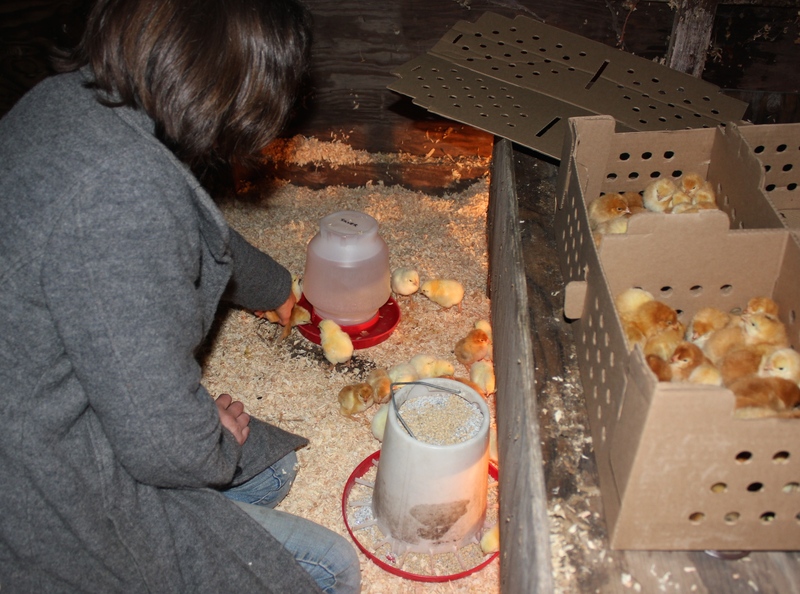 The room is drafty and leaky so we have some plastic jerry rigged in place to keep the drips out and hope that the warmth of the hover and the bodies of their buddies keeps the chicks warm enough. I do keep the windows of my barn closed with plastic through the winter and keep them ‘boarded up’ like this until the chicks are moved out, or it actually warms up outside. I add straw to the top of the hover when it’s cold to help further insulate it. 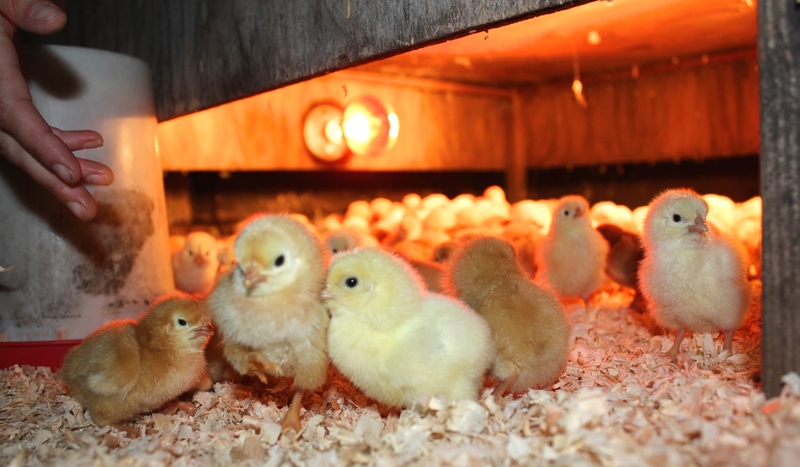 As the chicks grow i add wood blocks under the feet of the hover to raise it up, finally turning off one light during the day, then all the time, then the second light during the days until the chicks have enough feathers to head outside. After raising your own meat birds you can never go back to shop bought. 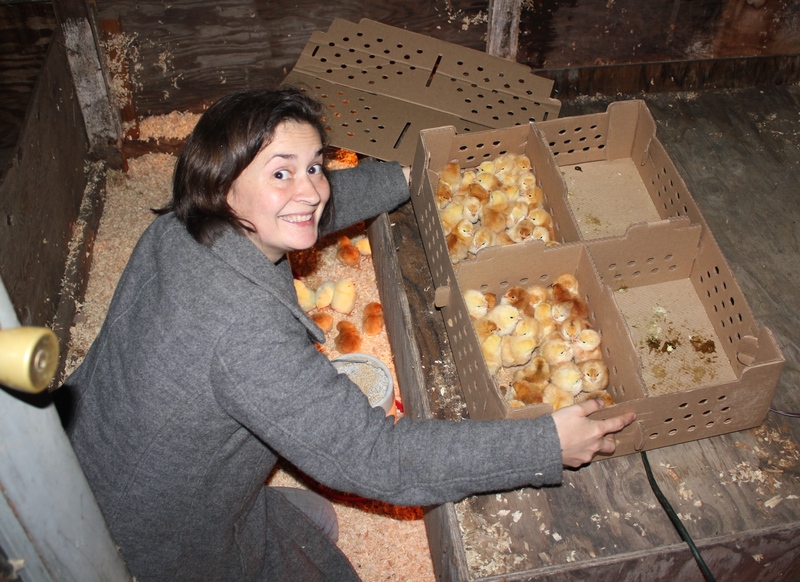 I keep La Bresse on pasture for my own consumption.